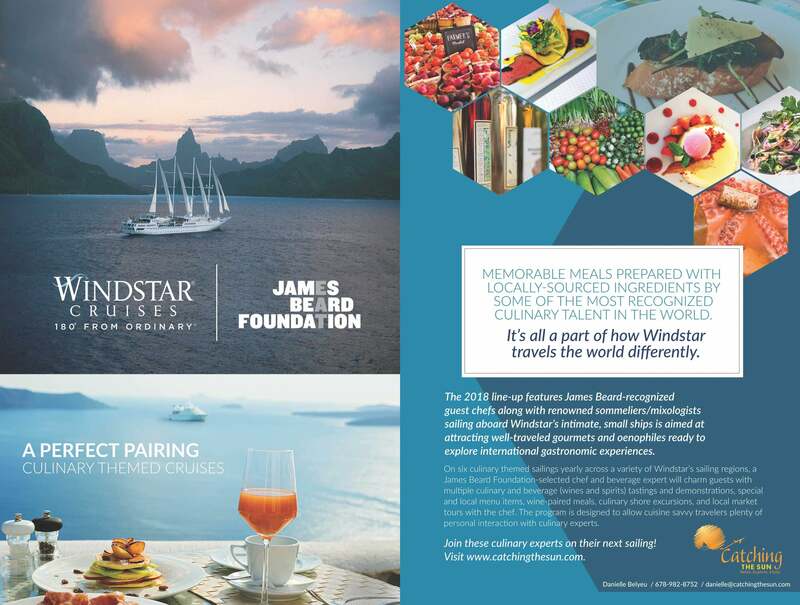 We were thrilled when Catching the Sun travel agency asked us to design an ad for Windstar Cruises’ culinary voyages. Windstar now offers a culinary cruise that gives passengers the unique experience to go to local markets, shop for local ingredients, and cook delicious gourmet meals on the ships with world renowned chefs. The James Beard Foundation is heading this, and some of the most recognized culinary talent in the world is getting involved! Catching the Sun travel agency requested a unique ad for the James Beard Culinary cruises. The ad is running in CRAFT magazine, an upscale Indie Food & Beverage publication. This magazine was founded in South Carolina and has a wide readership of high-end travelers. 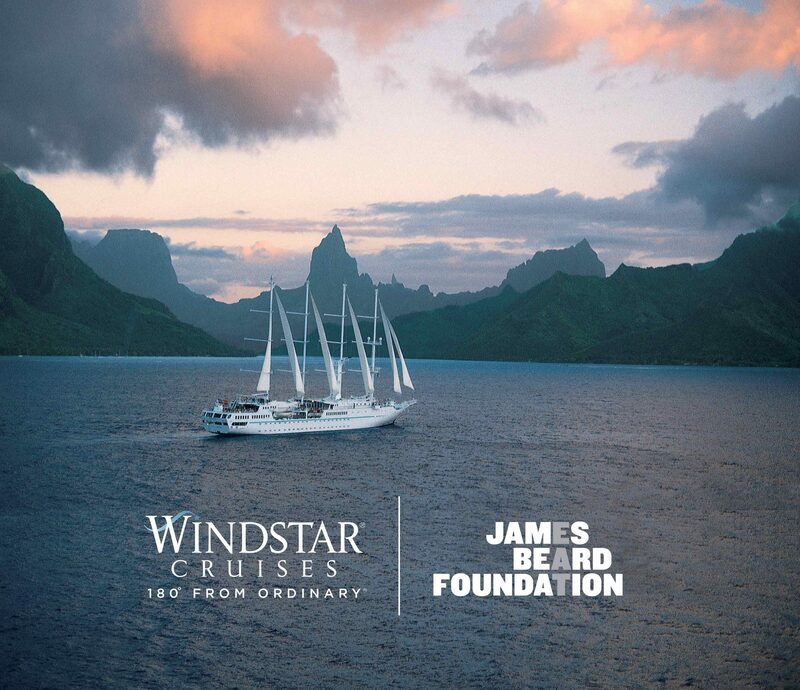 The goals of the ad are to give CRAFT magazine readers an overall vision of the cruise ship experience on Windstar – showing off its elegance, gourmet food dishes, and serene vacation relaxation. The ad also includes descriptive copy to educate readers on this special opportunity to spend time with renowned sommeliers and international culinary experts. We designed a Windstar Cruises ad for Catching the Sun travel agency.